Friday, January 27 the Bully-Free Amazing Wonder Show visited P.S. #36 in Staten Island, New York. It was my third year visiting the school so I knew what to expect. Every time I’ve visited this school I’ve made a post-assembly visit to Mona Lisa’s (Thank you for the recommendation, Lilliann!) Mona Lisa’s Pizzeria is pizza heaven on earth. A real New York pizzeria is unlike another any other pizzeria in the country. ★The quality is A1 best! In a competitive market like New York, a shop has to have repeat customers to thrive. Repeat customers only come through A1 best quality. ★Great prices! This is Leonard Da Vinci pizza at graffiti artist prices! ★The selection is incredibly varied. You’ll find flavors & styles you can’t find anywhere else. ★You not only get different sizes of pizza, you can buy your pizza by the slice, a rarity in most other parts of the U.S.
Everything. Let’s look at each one. There are dozens of assembly programs that claim to be “A1 best”. But how many are hosted by schools six, seven, eight, nine and even TEN times? I only know of one: the Bully-Free Amazing Wonder Show. Virtually any assembly can “get the gig” the first time. That’s a function of good promotional material. REPEAT assembly customers only happen to great assemblies. You chose a career in education because you wanted to become a millionaire, right? LOL. Neither did we. Here’s how we like to do things: We want to work with you to work with us. Simply put, even for schools that have significant travel expense for us, we are able to work out very competitive prices, especially when schools work together to host the program the same day. Contact me for details for your school. There is no single “magic wand” you can wave over your school to make bullying disappear. The truth is you need MANY different magic wands (tools, techniques, concepts, idea, lesson plans, posters, etc) to stop bullying at your school. Compare this to the 4 or 5 pages of "support" most other assemblies offer! One of the things that makes our assembly so awesome is that it is MORE THAN AN ASSEMBLY. 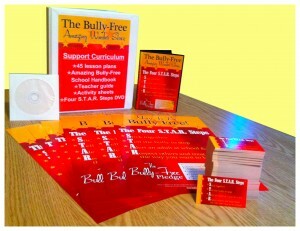 It’s virtually an entire bullying prevention package!! When the Bully-Free Amazing Wonder Show assembly visits your school it’s a BIG event. 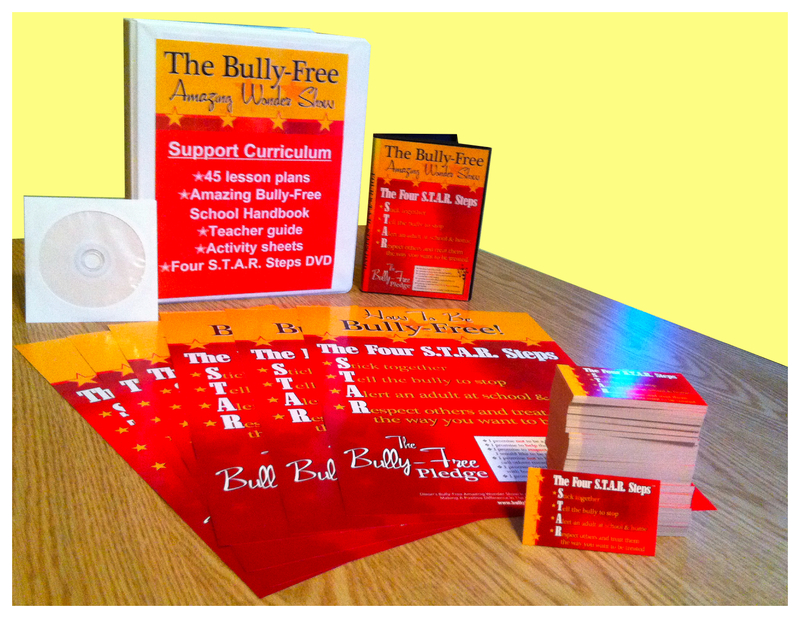 Big events should to be a part of your bullying prevention plan. And not only our assembly, but in-school events you can create like the “B.O.B. the Fish” assembly, the “Balloon” assembly, the “Toothpaste” assembly and the “Poster” assembly — all described in our support materials! For small events, you have support materials filled with dozens of lessons and exercises you can do with your students on a daily, monthly and weekly basis. You don’t have to wait so long. Take the first step. Give us a call at 1-800-732-7469 or go here and request information and we’ll contact you at your convenience.